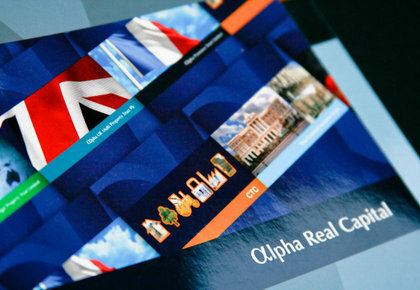 Alpha Real Capital run a variety of property related trusts and funds, each requiring annual and half yearly reporting. The main thing differentiating the funds is geographical location, and to that end, flags have been used to give instant and clear recognition. 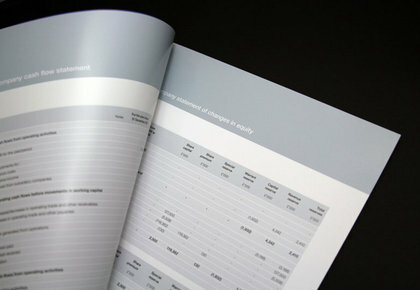 On the publications with larger print runs, the annual reports are printed on 50% recycled FSC approved stock, using environmentally aware printers. 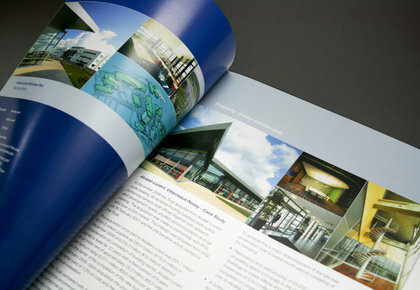 Biodegradable lamination is used on the covers. 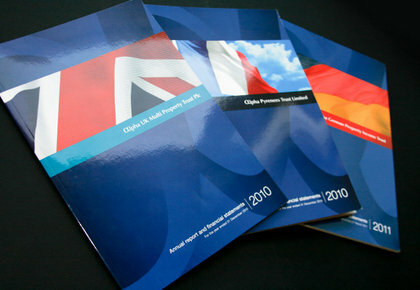 Other documents with lower print runs are printed digitally. For more information about environmentally friendlier production, click here.